Like many people that I have interviewed, I have not meet Christophe’ Laurent. I’ve only read what he has written about on Tenkara at social media and Tenkara web sites. I have an idea of his age and his interests from his chosen topics and have always enjoyed them. His enthusiasm for Tenkara is infectious and I have had many times in my desire to read about how other people practice it filled with his stories and even his own interviews on our topic. Christophe’ recently started selling Masami Sakakibara’s Oni rods and I could not think of a better person to represent him. Online his presence is soft spoken and Christophe’ is a real gentleman, very polite and this is an attribute I enjoy seeing in a Tenkara ambassador. One important note, he is from France and in my desire to represent Tenkara on a global scale; I have not chosen as many anglers from other regions. In the future, I will work harder at representing Tenkara internationally. France is in the house now! France has many mountains and really good wine! 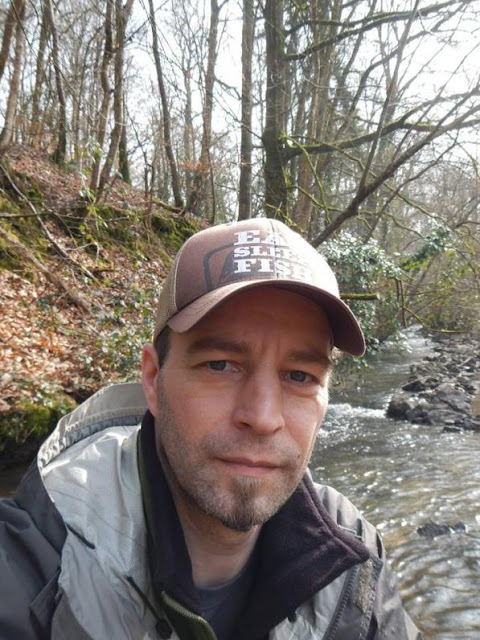 With wine, mountains and Tenkara in mind, I will start the Interview of Christophe’ Laurent. Adam: Christophe’, it has been some time since we have known each other through Tenkara and I must say that I am excited to get started with the Interview with you. My interest in you is partially selfish in wanting to know about the French mountain streams and the regions wine. My favorite vineyard is French, Louis Jardot. Christophe’ Laurent: Of course we can Adam! Christophe’ Laurent: I remember that the taste for their wine was the second common point I did find with you after tenkara and to be honest with you, I was a little bit surprised to note that some American people liked Louis Jadot’s wines. Burgundy is renowned for the production of wines with stronger taste than the other wine lands in France and they are, even here, less appreciated by most of “mainstream” wine drinkers because of these strong personality that make these wines match better with a more “manly” cuisine like game or food that is lot more spicy (and tasteful) than the fashionable new cuisine. I am French and wine is an important part of our culinary culture, even if nowadays most of the people are so uneducated about cuisine that they just chew and swallow anything without any pleasure. I have been educated to wine by my elders who were hunters and good game cooks. As you know each kind of wine matches a different kind of food, I was really lucky to discover traditional cuisine when I was young because it really made me understand the difference with what we are sold now. My favorite Louis Jadot wine is their “Clos de la Commaraine” which is made of 100% pinot noir grapes, it is really a strong taste wine that is perfect with spiced meat like boar, deer or hare which is a gastronomy heaven! There are also great wines in other areas like Bordeaux and Côtes du Rhône but my preference is really for powerful taste wines because I do not like insipid food. Adam: The French have always been some of the best at any sport I have understood. I don’t really follow basketball or common ball sports but mountain pursuits like skiing, climbing and alpine disciplines; the French are always top level. Your mountain towns of Chamonix and Verbier are hot beds that breed and train the new mountain sportsman. These towns are two places in Europe that I will visit before I become too old to travel. I love France and one day, I will visit, perhaps you will guide me? Christophe’ Laurent: If you want to travel to France I would be glad to help of course. It would be amazing to go fishing together! Like people who are interested in outdoor activities and passionate about history I know a little about mountaineering history in the French Alps as some villages like Chamonix were really precursors as mountain sport activities there started in the 18th century after some English outdoor enthusiasts did write a book about a mountain trip around Chamonix in a place called “La Mer de Glace” (The sea of ice). Ten years ago I did spend three weeks in La Clusaz, Haute Savoie and that is one of the most beautiful place I have ever been. There are a lot of small streams there, exactly what anyone can dream of when thinking about high mountain streams. I plan to go back there soon. There are a lot of things that I really like in the area where I live but there is a think I do not like which is the lack of high altitude. Adam: It appears that we have some common history in bicycling, particularly bicycle moto cross, I got my Yamaha Moto Bike in 1974, I loved that bike, it had suspension and it was lots of fun and cool but it was not good for racing. In 1975 I raced some of the pioneers in American BMX at our racetracks in Arizona. Our state, next to California is huge for history of BMX. At this time I had already been skateboarding and riding my bikes in empty swimming pools for a few years before. I’m just old in the circles that I travel but I love to have fun. Christophe’ Laurent: I had my first BMX bike in 1984 offered by my parents, it was a “Bicross” the brand created by Alain Kuligowski and Marcel Seurat in 1978 if my memory is good. These bikes were in fact copies of American bikes like GT that were hardly distributed and very expensive in Europe at that time. People today do not realize that BMX is in the history of bicycles. It was a revolution! In France, and in the whole Western Europe the development was incredibly fast and the first international competitions were organized soon after the appearance of this new kind of bikes. It was really the big thing of my teenage years just as it was for thousands of young teenagers. It was really cool to explore all the possibilities offered by these small bikes; racing, flat, freestyle. Now BMX has kind of gone back in the underground but it is still alive and I know many websites and blogs with great posts as the styles have incredibly evolved. Another good thing is that some French riders have reached world class and that we have a few companies that offer bikes able to compete with famous American brands. I have great memories of riding with good friends who shared my enthusiasm for BMX even through our moms did deplore a bruises and broken bones epidemic! We were young, passionate and not conscious of the risks we were taking sometimes. Now I have switched to mountain bikes but I am a little nostalgic of these small frames but until now I have not taken the plunge to buy a new BMX. Adam: There is a reason why I ask so many questions about other things. I have found that talented Tenkara fisherman have many other pursuits. Fishing is very important to them but it is not the only thing. I see this as a very common thread. Tenkara is why we are here and it’s time to focus on it. In all the pursuits that I enjoy, it is my goal to surround myself with as many talented people that I can that are better than me or are at a high level. Daniel is constantly providing great Tenkara content, John Pearson and Paul Gaskell also do a great job and my interest in you, right here is my testament that I like what you do too. This process makes it easy for me, I learn and I share. This helps me to insure that my information is good and has reference. In my own practice, many of the people that I have interviewed have common experiences as I do. In short, I’m about community. My specialty is building and participating in the community of Tenkara anglers. I’ve recently interviewed a long time Japanese fly fisher, Satoshi Miwa. He has put things into perspective about Tenkara that I have not read or heard from other people. This supports Tenkara being highly interpretable as a way to go fishing. 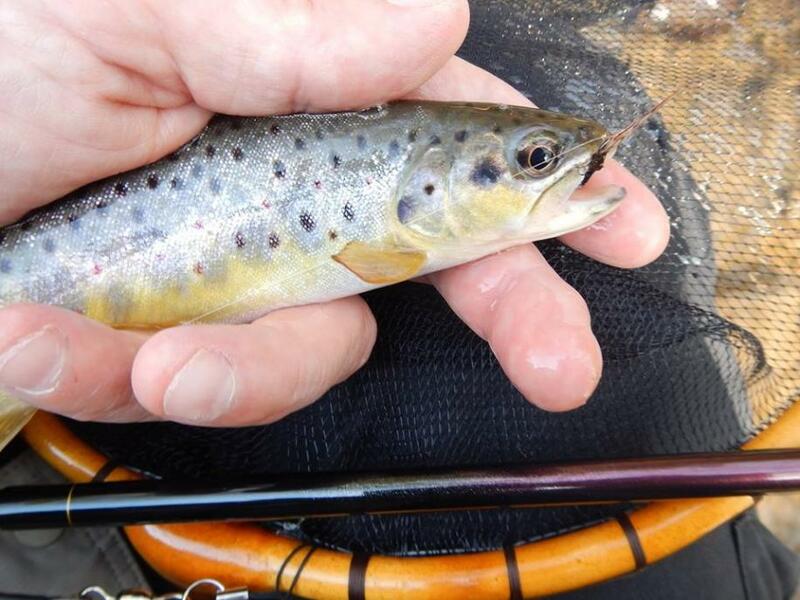 Tenkara for me is mountain stream fishing with a rod (telescoping) line and a fly. That in itself is not all that interpretable. I like using a limited set of patterns but I allow myself some room for experimentation. I am a fly fisher before I am a Tenkara fisher but I see both as the same. Tenkara is just a more basic and at the same time, advanced form of fly-fishing. Christophe’ Laurent: Thanks for quoting me along with great tenkara ambassadors such as Daniel, Paul and John because I think that what they have done until now could not have been done better. I have read many things about the history of tenkara but the authors of these theories never have proof of what they write. I agree with you about the fact that the existence of tenkara several centuries has not been proven yet. If the history of tenkara has not been documented, just like western equivalent techniques have not been either, it is probably because the practitioners of these fishing techniques were people with other goals than transmitting it to the future generations. We all know the Japanese paintings showing people, sometimes even samurai, fishing with fixed line rods but does not prove that it was tenkara and these paintings are not so old in fact as they are from the Edo period. According to the writings of Claudius Aelianus fishermen already used flies 1800 years ago and perhaps that the Japanese had their own fixed line fly fishing technique at that time, we will certainly never have a proof of that though. I have discovered tenkara through Internet like most of western people I think. I was wasting time on YouTube when I did find the Masami Sakakibara’s channel, I watched the videos several times and concluded that tenkara was exactly what I had been looking for for years as I was in the process to radically simplify my fly fishing. I rapidly wanted to learn from Japanese anglers and I started collecting books written by famous Japanese anglers such Hiromichi Fuji, Soseki Yamamoto, Kazuya Shimoda, Keigu Horie, Dr. Ishigaki, Gentatsu Kuwabara and I really think that it is worth investing money in this library because I have learned many things that I would have never found on western websites. Hopefully I have helpful friends in Japan who agree to help with translation or interpretation. I am a learner so until now my tenkara is not very personal, perhaps that in the future I will reach a level of skills that will allow me to develop my own tenkara style but it is still far away! But it is important to me to learn from those who know what tenkara is all about. Adam: The Japanese are so friendly and helpful. I understand that you are going to visit this summer. I would first like to say that you are going to have the time of your life. Build all the enthusiasm up you can for it, I assure you, it is everything that you think it is and more. Christophe’ Laurent: I have been interested for long by Japanese history and culture and I have decided to visit this great country next summer. I am building my schedule for this stay and I think I can say that this travel will not only answer to my requests as a tenkara angler. I am sure that I will not be disappointed; I will even be more satisfied than I am expecting. The tenkara part of my trip is going to be great in my opinion, as I will have the opportunity to join highly skilled anglers such Keiichi-san, Sebata-san and some of their friends for a Genryu fishing trip. This will happen the day after I arrive in Japan. It is going to be really realizing a dream; I will be experiencing what is until now for me only pictures in magazines or social network. I generally fish alone and that will be good for me to be in a group of long time friends. I will also meet Masami Sakakibara. We have planned to spend three days together and there is absolutely no doubt that it will be a great experience and also a unique opportunity to be taught something by the master in person. I will certainly have more people to meet, as answers will arrive from Japan. And a little bit of unexpected is always welcome. Adam: I’m headed back next summer. My wife knows I want to go, again. She grumbles about it but is supportive. I have to work hard and extra but the trip is on and I’m going to visit Keiichi and Sebata-san. I want their experience to guide me in the mountains. I want to pick sansai and camp in genryu. I also want to do a little visiting in their daily lives. I enjoy the Japanese way of life, I learn a lot from it from a philosophical standpoint. Tenkara is fishing, nothing more but people in Tenkara are more important to me than this type of fishing. A trip to Japan is so much more than Tenkara fishing trip. I’m really interested in Sebata-san and building my friendship with him. He is very kind and I like his style, it is quite different than the other experts in Japan. A trip to Japan is just a little different. But then again, it’s just like going fishing at home but with new friends! Christophe’ Laurent: I have wanted to visit Japan for a long time but one important thing was missing for I realize this plan: I did not know anyone in Japan. Thanks to tenkara I now have contact with Japanese people and that is why I have thought that the time has come for me to travel there. I agree with you Adam, this trip to Japan has to be much more than a fishing trip. I have talked about it with Keiichi-san, and perhaps that is why he accepted to host me, I want to go to Japan to meet people. That is really the most important thing. It is absolutely out of question for me to travel so far and not have any kind of interaction with the Japanese people, that would be a non-sense. Meeting Japanese will teach much more about their culture and lifestyle than any book or documentary. There are many aspects of the Japanese history and culture that I like and without a doubt many more I still have to discover, I am also an admirer of their brilliant craftsmanship (woodworking, blacksmithing, etc) and I have read so many books about the history of this country that I of course plan to visit some museums and historical places. Adam: Please forgive me if I am catching you off guard with my next question. I’ve been wanting to converse with someone outside of Japan and America on this topic. From what I understand, there are different schools of Tenkara in Japan, literally and figuratively. “Tenkara” is not the same all over, yes, rod line and fly but not the same type of rod line and fly or one fly or whatever. From my Interviews, book and magazine study and speaking with my Japanese friends, there are different groups of people that center on a club or an individual. Typically in those groups, you will have some different techniques but really everyone does it similarly in that area. Hiromichi Fuji is known for his multi-strand tapered line building and usage. The book that you have details his line construction. Hisao Ishigaki, Masami Sakakibara and Daniel use level lines. 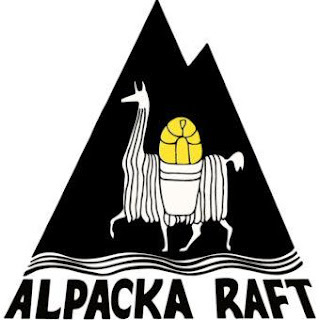 It is here that you may understand my “school of thought or practice” in that they teach Tenkara primarily using this system and if you are still following and have been researching, you will see Ishigaki wearing a “LEVEL LINE” patch on his vest. Some people like stiff rods, others like full flexing and there are those that like bamboo rods and still others that use “One Fly” and everything in between. There isn’t a lot written about the different groups or schools of Tenkara. Some of my Japanese books detail the different configuration of rods. But the subject large enough to have many people writing about its history and present practice. There are a few people know enough about it, I think you are one of them because I know you have done some research on your own by obtaining books from Japan. So we have teachers or leaders that teach a certain style of Tenkara and most of these people have been into Tenkara or have chosen their style of Tenkara from another expert or a way that fits their desires for this type of fishing. In recent times we have a lot of Tenkara vendors that are selling equipment that they have made and or are importing, essentially selling their own version of Tenkara through their own network of customers. Christophe’ Laurent: When I started my research about Tenkara it was on Internet and I watched all the videos I could and by analyzing, or at least trying!, I realized that most of tenkara masters has each his own style. 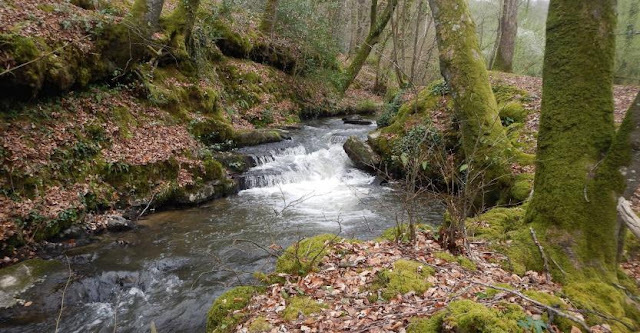 This is also a reason why I have then gone further in my research with books, it is important to me to discover tenkara in its diversity and perhaps will it help me to find my own tenkara. From what I know one of the first person to document the tenkara fishing technique was the journalist and essayist Soseki Yamamoto who was himself introduced to tenkara by Hideki Sugimoto. In his books Yamamoto deals with what he had learned from the last commercial tenkara anglers and he also exposes the concepts developed by some tenkara anglers such as Yuzo Sebata. I think that the different schools of tenkara have developed thanks to individuals who had friendly relationship and a common idea of fishing. My personal point of view about the individual evolution of tenkara anglers such Hiromichi Fuji, Hisao Ishigaki or Masami Sakakibara is that they have developed their own tenkara technique that matches the typical fishing spots and their concept of fish behavior. Fuji Sensei “Sutebari” combined with his use of tapered fluorocarbon lines is, in my opinion, a very good example of it. Dr Ishigaki is a scientist specialized in study of vision and to match his observations about salmonid vision he has developed his different castings (Hard Go/Soft Ju). Masami Sakakibara has become a master of light long lines because his fishing technique is based on drift control and enticing the fished from afar. 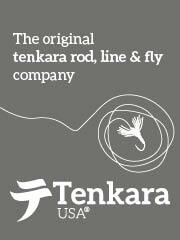 And it is of course not by chance that these great anglers have designed the best tenkara rods. One aspect that I really like in tenkara is also that it is really a “think out of the box “ fishing community without rigid rules and that will really help make it popular in the west in the future. Until now there is very few tenkara literature in the West and it will take a little bit of time before some tenkara anglers decide that they have interesting things to write. It is only a matter of time. The tenkara business is developing fast and that is a good thing, it just reflects the growing interest of anglers (and also non anglers) for this technique but in a few years this market will have reached its maximum development. I am not sure that all the companies will be able to bring more people to tenkara. I do not need to quote the biggest idiots I have read about tenkara from self proclaimed guides or vendors, we all see this kind of things every day. From my point of view it is possible to reach a very big tenkara development in western countries if we base our work on what has been done by the Japanese because they have refined the technique during several decades. The future of tenkara will not be interesting if we let it be written by fly fishing guides, especially in a country like France where fly fishing is very competition minded, because they are not interested by tenkara in itself but mainly as a tool to bring back people towards western fly fishing which has less and less practitioners. In my opinion it is not surprising that Tenkara USA is so successful, Daniel has greatly used what he has learned from Japanese tenkara masters without bringing in none of the useless complications from western fly fishing or better said from what has become western fly fishing. Adam: Chris, I found out about it early on in the American timeline. There was no one in my area to teach me so I just taught myself. Casting a Tenkara line is like short lining a light fly rod, it was not hard to learn. I started selling Sakura Tenkara soon after and I taught Tenkara fishing to other fly fisher’s as well. When I went to Japan, I was toured by Satoshi Miwa, a mountain stream fly fisher. We stayed in a fly fisher’s lodge and were guided by a master class fly fisher in the mountain streams around Takayama. When we drove to Itoshiro to meet Sakakibara, I had yet to meet another Tenkara angler that I had not taught. Masami Sakakibara was the first Tenkara angler outside of my circle that I meet. We fished a day on the Itoshiro and he tuned up my cast. I had been fishing a fly rod for decades and my Tenkara cast was not so bad but Sakakibara absolutely changed my technique for the positive. That is primarily learned from the master on my trip. 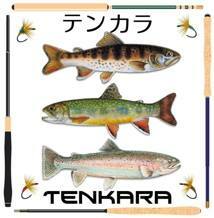 Christophe’ Laurent: Tenkara is growing in my country just like in other European countries like the U.K, Poland, and a few others. But I have discussed about the development of tenkara with people from different European countries and we agree to say that it is going to be slower than in the United States because European anglers are more conservative. When I decided to start tenkara I had never met a tenkara angler before so the only option was learning by myself. At home I was watching Japanese videos and reading websites and then I tried to apply what I had seen or read. Learning to cast with a tenkara rod is really not difficult but I think that one can always improve. In fact I think that a good angler will not only learn the basic technique, he will work a lot to refine it. 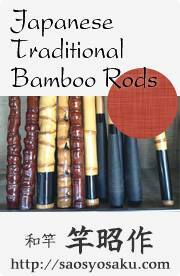 There is a huge confusion in the mind of many people between “simple” and “simplistic.” Having tested a lot of different rods and lines I am now able to understand the differences between the different gear I may use. I started tenkara with the will to learn without polluting my tenkara experience with what I had learned when fly-fishing. I come from fly-fishing and bait fishing but I thought I would have a better start in tenkara if I started from scratch. I am convinced that it was the best choice. Adam: Keiryu is can be a natural fishing progression if you really like the equipment, although Tenkara is easy to learn, I think it is hard to master and it takes time so Keiryu is like a great side bar for me and it’s all about the telescoping rod fishing system. I understand that you are also into Keiryu. Christophe’ Laurent: I started fishing when I was a kid and the first technique I was taught was bait fishing, more precisely it was “Toc” fishing, the traditional French bait fishing. I have come to tenkara in a natural progression because I wanted to make my fly-fishing simpler. I do not exactly remember how I first heard about “Keiryu” but I was immediately interested just because bait fishing is a light fishing technique. I have wasted so much time competing with other anglers that now I just want to go fishing and refining my skills without getting bored. What I like in Keiryu is what I like also in Tenkara, it is light line technique, it is minimalist, it is fun. I really like going to a small stream and trying to catch wild trouts with a super light rod. Christophe’ Laurent: It is not easy to tell how big is the Tenkara community in a country but I think that Italy probably has the bigger number of tenkara anglers as their traditional fly fishing technique (Valsesiana) has always been practiced when equivalent techniques have disappeared in other countries. Several countries have their Internet forums, blogs, tackle web shop, guides but some have nothing or it is really in the underground. I think that most of European countries have a good development potential. It only takes a handful of motivated people to start something. 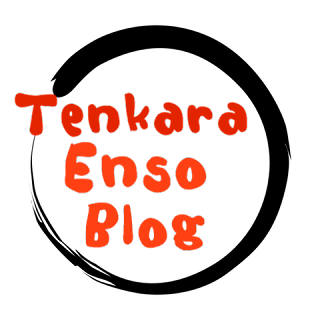 Tenkara enthusiasm is contagious, I can see it through my blogger experience: some people did read my blog and found it interesting, they started tenkara and now they edit their own blog! So if this happens in France it can be the same anywhere. I am really happy to see new people joining the community, this is the fuel that tenkara needs to reach more people. Adam: You are in the shadowbox project and I appreciate your participation. I’ve seen at least a few of your kebari and you do a good job. I mostly tie in the winter and spring, right before the beginning of our new season. I’ll tie to fill the box during the season too. I’m a mix of what I’ve used in fly-fishing before Tenkara but I’ve done a year of “one fly” and did my trip to Japan with one fly as well. Christophe’ Laurent: I am honored to be a part of the shadowbox project; it is a very cool idea to collect kebari from tenkara anglers from across the world. Thanks for thinking my ties are good but it is only a matter of training as I have been tying my first fly about thirty years ago! I have had several periods in my fly fishing experiences. In fact my fly-fishing experience, as well as my fly tying, was a loop: I simply came back to the simplicity I was taught when I started fly-fishing. Like most of anglers I am used to tie a lot of flies during the season off (in France trout fishing is open from March to September) and less during the season but now I sell my ties I am behind the vise everyday. My choice for a kebari is based on my fishing experience as I only sell patterns I have in my box. My “one fly” season was a great experience and it really helped me improve my skills and I really would like to see more anglers challenging themselves. The “one fly” theory is a good way to understand the importance of skills in successful fishing but I understand that some people want to keep their “match the hatch” style. Adam: Chris, thank you for your participation here and at Tenkara-Fisher. I always enjoy your perspective and you are a positive force for our community. I hope to meet you one day and I would be happy to guide you in my area. This is your time; I hope you are really enjoying your participation in Tenkara. Christophe’ Laurent: Thanks a lot Adam for giving me this opportunity. I have done some interviews on my own blog so I know that it is a lot of work! I sincerely hope that my answers will be interesting for the readers. I am really happy that my participation in the tenkara community is appreciated; it encourages me to go on. I think that we will meet in the future because the U.S. is on my list. I will conclude by wishing to all of you the best for the future.